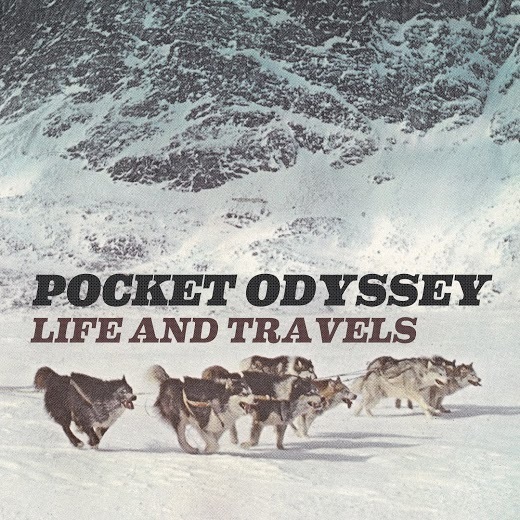 Pocket Odyssey (circa 2008) has taken the experience of their Life & Travels as professional musicians and compiled it into one catchy, poppy, innovative album! Their masterpiece hit online distributors earlier this month and their fans are loving it! Pocket Odyssey will have their official CD release party on June 6th at Sessions Hall alongside Phillip Morrow. The infectious album opens with one of its best songs, “Confessions” which begins with a catchy guitar-riff and sing-along OH chants and lyrics. The second verse shifts feelings with a harder beat and riff, squealing guitars and scream-esque vocals that bring the songs written lyrics into a mixture of felt emotions. Life & Travels then cuts over to its second track, “Peeling” with a faster tempo, a jumpy intro and Ramones-like verse. It transitions well into it’s anthemic chorus’ and the bridge does a great job of bringing it all together with a well established build. The journey continues with “How The West Was Won” and knocks listeners off of the railroad tracks branded by the feel of the album’s previous songs. If Anchor Music remembers correctly, this is one of the tracks that was reproduced from their previous works. How The West Was Won has a significantly darker feel than the other ballads and has too many highlights to count; it is most certainly the Anchor favorite. The album slows down with “Of Bells and Shells” which has much more of a classic rock feel. For whatever reason, it reminds us of a less-riff centered Audioslave or Lynyrd Skynyrd’s “Simple Man.” Of Bells and Shells marks the albums first distinct guitar solo that successfully transitions itself back into a building chorus only to end the same way it started with lasting chills. Here to lighten the mood is “Solid Ground” with that poppy feel that listeners will remember from the first three tracks. It’s all-around more encouraging and inspiring with it’s lyrics, and the breakdown is well composed. The song concludes in a goose bump raising build. The post-climax music then begins with, “Poetic Justice.” The song is overall the most poppy and the lyrics sung in it’s chorus are highly infectious. One can assume that this song was written for Pocket Odyssey’s fans to sing-along during their live performances. The credits roll with a whispering “Saint Street” ending a fantastic album on a happy note. (Pun intended) Much like the rest of the album, the lyrics in this track can be easily placed on repeat inside ones mind long after the song has ended. This track sets itself apart from the rest establishing itself as a prolonged build that hits its first peak with a mellow guitar solo; this transitions into a repeated chant and overarching lyrics that will have fans banding together raising their lighters in the air for a perfect finale to a perfect night. Live the story with Pocket Odyssey at Sessions Hall on June 6th during their CD Release. Details can be found on their Facebook or ReverbNation.